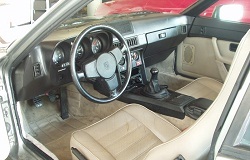 Welcome to my documentation of the buildup of my 1988 Porsche 924S into a 944 Spec racecar. Having more time than money lately, I decided to occupy the months in between big purchases with a journal of my progress. Personally I’ve followed many other build-ups online and following their lead, you will find mine here. This collection of my experiences is fueled mostly by my boredom at work; in keeping with that theme, and low budget of this project, this site is built and maintained using only Microsoft Photo Editor, Paint and Notepad. Enjoy! I had been searching for months. I knew what I was looking for, but just couldn’t find it. Let me rephrase that. I could find it, all over the place, but not for the price I was willing to pay. I couldn’t justify a $2500-4000 purchase to just rip the interior out, throw all most of the old suspension bits and then probably bang it up my first time out. Oddly enough, my car found me – sort of. I found an ’83 944 beater on eBay in my area at a yard full of donated cars, so I went to check it out. It looked like an East coast car and when I asked to fire it up, they said they would get the jumper cables. I told them don’t bother. Even at $500 this car was going to be too much work to make it worth it. 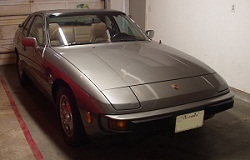 They told me they had another “944” in back which turned out to be my 924S. 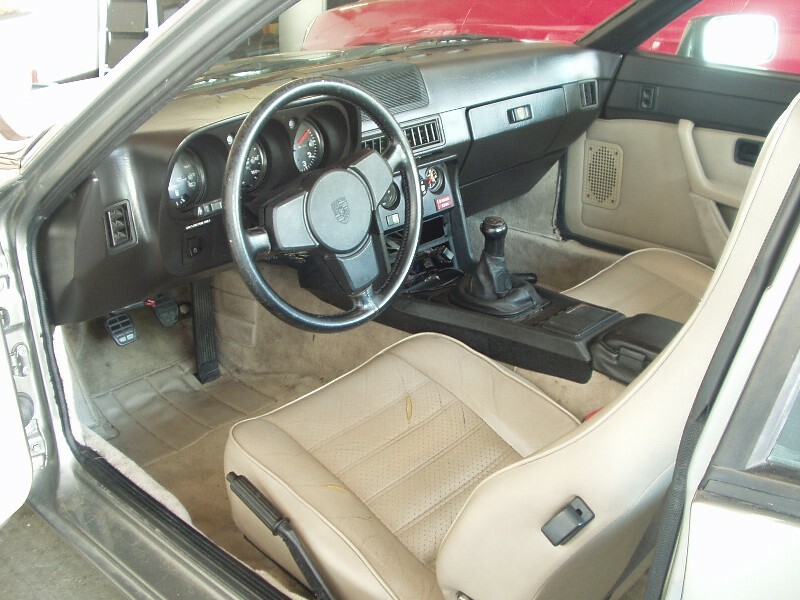 The paint was decent, the interior was in surprisingly good shape and it ran, though not very well. Good thing for me 924’s don’t get much attention on eBay, since I was able to “steal” the car for $1125. Not bad at all, especially since it’s an ’88! I limped the car home and the first weekend, took a closer look at it. It had about two quarts too many in the crankcase, the power steering pump was hanging on by one half threaded bolt, the drivers side door window glass was in the trunk and the center console was non-existent. My first smog check showed good numbers, except for oxides of Nitrogen. She’s running a bit lean it appears. Silicone vacuum lines from Lindsey Racing and a new O2 sensor seemed to do the trick, since my free retest showed that the mixture richened up a bit and lowered my NO numbers to passing levels. I also didn’t get the engine as hot for the retest, which may have lowered my NO numbers as well, though only slightly. Two trips to the DMV later (long story) and she’s mine, officially. Not helping my decision to keep the car was a huge spin on an off-ramp during a “test” run. No damage thankfully, but I was less than impressed with the handling of the car. Before you write me a harshly-worded email, please read on. On the way home I realized I zigged when I should have zagged, or more appropriately lifted when I should have stayed in the throttle. Old dampers and crappy tires didn’t help either though. Now that I’ve been driving more and shaking my bad front-wheel drive habits, the car has been very neutral and a blast to roll on the throttle mid-apex. It’s a shame I won’t get to drive it again for months. See the installment links for the current progress of the car.